Good teachers teach to improve the quality of audience members' lives. With this last question, Picture Book Theology (PBT) encourages you to consider the future of your listeners' understanding of God, their places in a family of faith, and their relationships with ALL that is Holy. 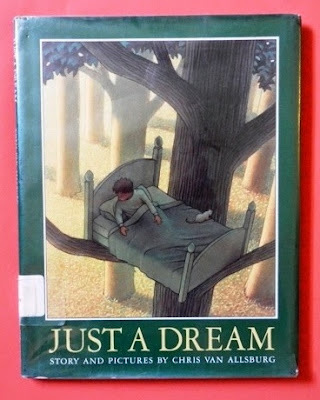 Just a Dream by Chris Van Allsburg (see my PBT post [here]). It's a story of a careless boy and his discovery of an array of environmental concerns. Connecting this story to God’s desire that we have respectful and intelligent guardianship of Earth’s inhabitants and resources might inspire listeners to evaluate their relationship with the Earth. They could find connections between their behavior and the Earth’s health and see this as a God-ordained relationship. Additionally, this book addresses all 5 of CASELs competencies listed above.